Like it or not, during the next few months, your apartment is going to become a hub for eating, drinking, and entertaining. It’s the unavoidable truth of the holiday season. 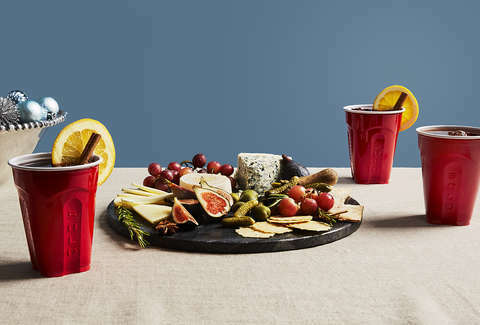 But rather than investing in glassware, which can be expensive and will inevitably get broken by your guests, stock your parties with SOLO cups. Great for drink-mixing and cocktail-holding, you’ll never need to worry about shattered glass or cleanup at the end of the night. Here, we present six cocktails that aren’t just ideal for winter imbibing and wintertime entertaining, they also benefit from a bigger, sturdier cup. Mulled wine is easy to batch up and ideal for large groups or parties, since you can just mix it in a slow cooker, warm it up, and serve. But here’s the party hack you need: Chilled Mulled Wine. Just funnel your mix into wine bottles or large jars, and stick ‘em in the refrigerator until guests arrive. Not only does it save you valuable counter space, but it’s refreshing and seasonal at the same time. With a bright sourness and a peppery heat from the freshly muddled ginger, this cocktail is the ideal sipper from fall until spring. It’ll warm you and your guests from the inside out, and it’s so good that everyone’s going to ask you to make another. Fortunately, you won’t need to scrub a pile of glassware to make that happen. Although Negronis are drinkable year-round, the drink is best sipped in colder weather. Its bright citrus notes and bracingly bitter backbone are strong enough to take on the worst winter blues by making you think you’re in some Italian villa, not huddled around a space heater. All this stirred and strong sipper requires is a bar spoon, a bottle of vermouth, Campari, and your favorite gin. Make it straight in the cup and sip until warmer weather comes. 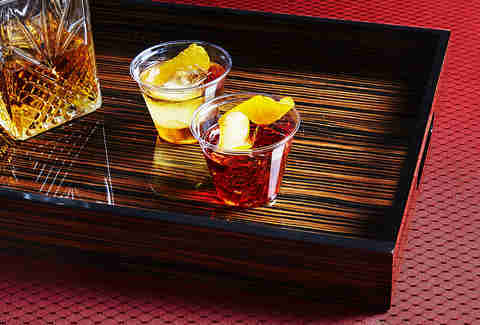 Even if it’s one of the oldest cocktails in the books, that doesn’t mean you need great grandma’s glassware to serve it. It’s a drink that anyone can make, too: Build it in the cup, add ice, and it’s ready for imbibing. Best accompanied by a roaring fire, your favorite flannel, and your closest friends. If you want to feel like you’ve escaped to Bermuda this winter, it’s all about the Dark ‘N’ Stormy. 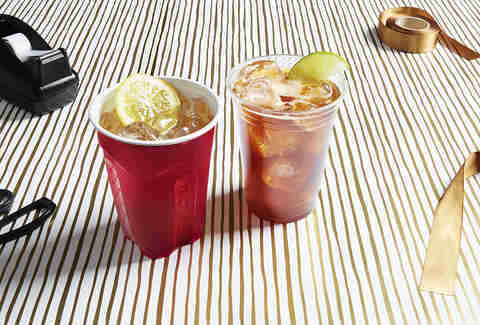 Made with dark rum, ginger beer, and a squeeze of fresh lime juice, the drink is as easy to concoct as it is to drink. It’s vibrant, crushable, and if you skip the glassware for something disposable, it’s also porch-friendly -- provided your porch has a space-heater. Not only is an amaro and soda super quaffable and refreshing, it’s incredibly easy to make. What amaro you use will determine how winter appropriate the drink is, and whether or not it’s served before a meal, with a meal, or afterward as a digestif. Heavier amaros like Braulio or Rabarbaro are best for winter, as are more intense, herbaceous drams like Fernet or its minty cousin Branca Menta.